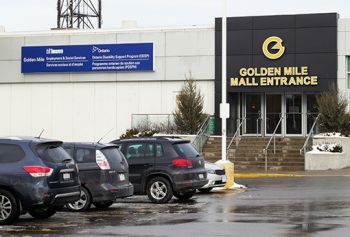 Golden Mile Employment & Social Services provides drop-in services and resources to help you during your job search, and issues financial benefits through Ontario Works. Starting March 1, Income Tax Preparation Clinics are being offered on various dates at this and other Toronto Employment & Social Services locations. See schedule. TTC Directions: From Victoria Park station, take the 24 Victoria Park bus and get off at Eglinton. We are located at 1880 Eglinton Ave. East. Please enter through the mall entrance. The Ontario Disability Support Program (ODSP) provides income and employment support to people with disabilities. You can apply for ODSP while receiving Ontario Works, but it is not a requirement to be on Ontario Works to apply for the program. Every Monday from noon – 2 p.m.
Every Wednesday from 9 a.m. – 4 p.m.
Every Tuesday from 10 a.m. – 5 p.m. Some of the above additional services are available by appointment only. For more information on these services, please call 416-338-8888. Aidez-nous à assurer la qualité de l’air que nous respirons. Ne portez pas et n’utilisez pas de produits parfumés lorsque vous visitez nos bureaux. À partir de la station Victoria Park, prenez l’autobus 24 Victoria Park et descendez à Eglinton. Nous sommes situés au 1880, Eglinton Avenue East. Veuillez y accéder par l’entrée principale du centre commercial. Vous pouvez aussi joindre le TTC au 416-393-INFO (4636) pour obtenir des renseignements sur les directions à suivre.